I have made it an intention of mine to create a day of celebration that I will call, "Beyond Valentines Day." This is intended to be a day of total inclusion. It will be a day when all are invited, without exclusion, to celebrate the one reality that is beyond our personal and illusory feeling of separateness. This feeling of separateness is at the core of our broken relationship to the source that creates all. This source is Love. This is not just some sweet idea but is the core of who each and every one of us truly is. To know this is to be in real communication and communion with oneself and ones neighbour. Most every one of us has had a glimpse of this eternal ground of oneness that is the foundation of life beyond our individual life situations. 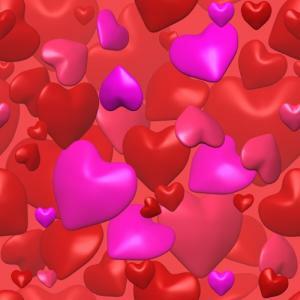 Beyond Valentines Day would be a celebration beyond simple ego adieu relationships that are often fraught with division rather than the beauty of the union of divine opposites that is our true relationship to Love. Beyond Valentines Day can be celebrated on your own or with friends, partner, Lover or animals. There is no right way to celebrate as this is a practice of Love and compassion. It is something that you commit to. In that sense you commit to your self and the beauty that you are. You may not feel attractive, you may feel unloved; but this is not who you are. Too often our focus is on the other to give us something we think we do not have. You thus forget that you are far more miraculous than we might ever imagine. The sorrow that goes unsaid is that you have forgotten this miracle of creation that you are and will always be. You are, if you would know it, a walking Valentine that finds its joy in giving of itself. Giving of yourself, however, often makes you feel vulnerable unless you know, to feel directly, the ground of being from which Love arises. Many of us shrink our hearts around this time of Valentine's Day. I remember this feeling well. For me there was a sense of shame, a sense of being unworthy in some way when on that day I did not give or receive a card. On Valentine's Day I would hope that no one asked me did I get a Valentine's Card. To say no reminded me that there was no one special in my life who loved my heart. Of course this was not surprising as I did not love my heart either. On the new radical Beyond Valentines Day you commit to recognising your own heart. Do you know it? Do you have the courage to allow it to be open? There is no real security for the heart. It is a paradox. In protecting it you have to shut it and in shutting it you close out the very things you long for. Often when you think it will break it breaks open. It hurts often because we cling to the past. Many of us we would not know what or who we are without it. This is often why we will not let it go. Loving begins at home with you. All things want to be Loved. There isn't anyone of us living in form who cannot be healed and made more whole. This wholeness arises from our deeper connection to that which is creation and which is our very being. How much do you Love yourself? How much do you have joy in your self? Right now, sit still for a moment and ask yourself, "What right now is wrong with this very moment?" Often you will find yourself going quiet. What tends to be wrong is the projection of your imagined life situation into the future. This gives you a feeling of anxiety. You might imagine, no money, no job, no friends, or no Love. The same thing occurs in projecting the past into the present moment and thus missing life as it is. To have a Lover is to be a Lover. This starts at home with your own heart. You are already wired to be this. This is your natural state. There is a beauty that resides within you and cares for you would that you commit to recognising it. Once it is known it is a Lover that does not leave you. You have, however, to find it and learn to abide in it. Are you prepared to risk finding this real source that is forever? Beyond Valentines Day is for those who would be radical and affirm their right to the celebration for Love that they are in reality not separate from. This can be a time when you treat yourself with a kindness and tenderness. This is a kindness and tenderness that you might reserve for a lover except that Love does not hold itself in reserve other than when it becomes "my love." There isn't a day or a moment when you cannot be a Lover. You may be numb to Love but there will come a time when that numbness begins to unfreeze. It will pain you. It is like blood returning to a frostbitten finger. It can hurt like hell. Life will have you open your heart. Your essence is the timeless experience of Love. You can join this dance of forever but you cannot leave it. Most of us who are living in this world identified solely with time and space have forgotten this. Why not learn to fall in Love with who you are. Many of us feel very unloved and unlovable. Written deep into the tissues and cells of our body and mind is a script that repeats the same old messages. Only this is not the real message except that you give it all your attention. This gets you lost in time. As Mister Eckhart the great German mystic tells us, "Time is the one thing that keeps us from God," which is another way of saying time is the one thing that keeps us from knowing what it is to be Love. We have forgotten the timeless that is the source from which we are all created and have our being in. On Valentine's Day pour yourself a luxurious bath; buy some candles and aromatherapy oils. Make your home a place that smells sensational. Get a movie that will make you laugh out loud. Telephone a friend who is in doubt or who is struggling at this time. Buy yourself the ingredients to make your favourite meal. When you cook it pour yourself into it slowly while not thinking about the past or the future. Get some inspirational poetry or music to play on your DVD or CD player. Do something, anything that is an expression of gratitude for the life that you are given in this moment. Not the next moment, or tomorrow but right now. Do it now as a gift to yourself so that you begin to do it in the next moment. In this way you become the habit of Love which is paradoxically ever new. Gratitude is the simplest but most profound practice. It is one of my favorite practices because you can do it at anytime and for a long time. You can even live it forever. It allows you to expand and raise your vibrational rate so that you can receive what you want. To begin with it may feel awkward and unnatural. It is unnatural because each of us has made it so in our own lives. Lovers are not ungrateful. They are dancers of thankfulness. They say thank you for the being that they are that is not just the personality each of us identifies with and protects from harm. Want a Valentine in your life? - then commit to being who you are. Commit to Love as an inside job. This is the only place where you'll find it that will give you any real sense of security. Then when you find it give it away without reward. This is what it is to be a Lover. All real Lovers are not beggars. They are simply like a flute that allows the music of the spheres, the music that is the resonance of Love to play through them. This is a practice. It is a risk that you have to take until you become the knowing of Love. In that knowing there is no risk at all. Until you are that knowing Love is always risky. Risk making a fool of yourself for Love. Risk taking time to be tender with the sweetest part of yourself. If you do not know how to be in touch with that, start finding out. Do what it takes to find out. It certainly isn't out in the world where all is change. As Gandhi said, “Be the change you want to see in the world." Want to be in love then be a Lover. Learn to be what you truly are. This is what it means to become as a little child. So on this coming Valentines Day why not go beyond. Spend time in deep awareness. Do not rush. Lovers do not rush. There is nowhere to go, nothing to do except be with what is. Be still and know that you are Love. This stillness can enter all your activities if you would practice being at the centre of who you are. This is the work of Love and it begins in the homeplace of your own heart. Begin now. Begin to be the main attraction in your life beyond your life situation. To be is to be Love. To know this is to have enough and to be enough unto your self. This is he Blessing and you are already it. Tony Cuckson is a Storyteller, and Anamcara. This Celtic term means "Soul Friend." He specializes in providing insight for the spiritual journey and writes a FREE weekly ezine entitled Blessings for YOU.